Some of Israel’s young Arab citizens are calling for a boycott of Tuesday’s parliamentary election, dismayed by a recent law which they say reduces them to second-class citizens. But this time, they say, they are tapping into anger over the 2018 law that declares only Jews have a right to self-determination in the “nation-state” of the Jewish people. Leaders of Israel’s main Arab parties are pushing for their voters to turn out, fearing a boycott would weaken the 21-percent Arab minority’s representation in parliament, and boost Prime Minister Benjamin Netanyahu’s election chances. Ignoring the party leaders, dozens of activists from the “Popular Campaign to Boycott the Zionist Knesset Elections” have been handing out leaflets in the northern Israeli port city of Haifa, which has a mixed Jewish and Arab population, and in smaller Arab towns and villages. “This is an attempt to boycott the body that actively tries to erase our Palestinian identity,” said Joul Elias, a student from Haifa who turned up to distribute flyers in Wadi Nisnas, a majority Arab neighborhood in the city. Israel’s Arab minority comprises mainly descendants of the Palestinians who remained in their communities or were internally displaced after the 1948 war that surrounded Israel’s creation. According to figures released by Israel’s Central Bureau of Statistics, there were 1.9 million Arabs in Israel’s roughly 9 million population at the start of 2019. Most were Muslims, Christians or Druze. Jews made up 74.3 percent of the population. Despite holding Israeli citizenship, many Arabs say their communities, from the fertile Galilee in the north to the Negev desert in the south, face discrimination in areas such as health, education and housing. Netanyahu’s ruling Likud party counters that its 15 billion shekel ($4.19 billion) investment plan for the Arab sector “is the largest such commitment in Israel’s history,” according to Eli Hazan, Likud’s foreign affairs director. But Netanyahu rekindled Arab resentment in March when he wrote on Instagram that “Israel is not a state of all its citizens.” It was a reference, he said, to the new law, and the country being the homeland of the Jewish people. Many in the Arab community saw the Instagram post as an echo of divisive comments he made in the 2015 election. Hours before the polls closed on election day that year, Netanyahu said that Arabs were flocking “in droves” to cast ballots. This was an attempt to prod any complacent right-wing supporters to get out and vote for him. “The nation-state law was like a wake-up call for many people, making them realize this country will never be a country for all its citizens,” said Muhannad Abu Ghosh, 42, a pro-boycott activist from Haifa. But Ayman Odeh, an Arab legislator who heads the Hadash party, says that engagement is key to bringing about political changes that will benefit the Arab minority. “Our challenge, number one through five, is to increase the number of people who vote,” he said. Arabs have served in Israel’s parliament since the country’s founding, but low turnout and other factors have typically left them under-represented in the 120-seat body. No Arab party has served in a governing coalition, meaning they have little say in shaping Israeli policies. In the 2015 election, Israel’s four Arab-dominated political parties united to form a “Joint List” that won 13 seats - their biggest representation yet. But this time around they are divided, which is likely to further deter an already dismayed electorate from voting, say political analysts. Arab voter turnout is expected to be just 51 percent, down from 64 percent in 2015, according to a recent poll from the Konrad Adenauer Program for Jewish-Arab Cooperation at Tel Aviv University. The poll projects nationwide turnout of 70 percent. “The majority of Palestinians in Israel consider the Knesset election as a practical tool. If it helps them, they will go and vote,” said As’ad Ghanem, a professor of political science at the University of Haifa. 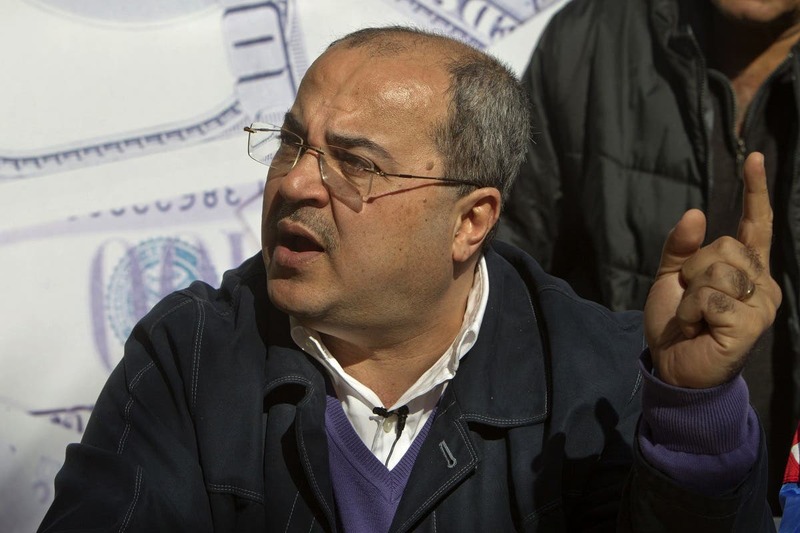 Ahmad Tibi, a veteran Arab legislator whose Ta’al party has forged an alliance with Odeh, says Arab parties are likely to lose two Knesset seats in this election. But he doesn’t see the nation state law or political division as a reason to boycott the vote. “You can be a critic, you can have reservations, you can be angry at Arab parties or Arab,” Tibi said. “But to be nonchalant and to sit aside is not the solution,” he added. Still, the boycott movement’s members, many of whom voted in previous elections, believe that grassroots activism is a more effective agent of change than voting. “The parties stopped working for the people. They are just clinging onto their own seats and their own power,” she said. Meanwhile, Final authorized opinion polls published on Friday just days ahead of the Israeli general elections showed Netanyahu heading for a fifth term in office, leading a right-wing coalition. 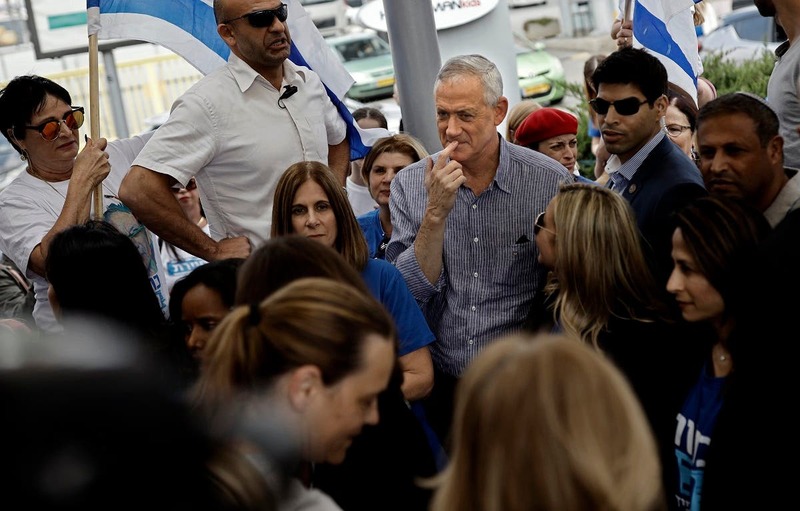 The polls revealed the rival centrist Blue and White list led by former military chief Benny Gantz was running virtually neck-and-neck with Netanyahu’s Likud ahead of Tuesday’s vote. But while most polls saw Gantz’s list as scooping slightly more votes than Likud, neither party was predicted to win more than 25 percent of seats in parliament. And the polls were unanimous in forecasting that Likud would be able to build a viable ruling coalition to beat off Gantz’s challenge. 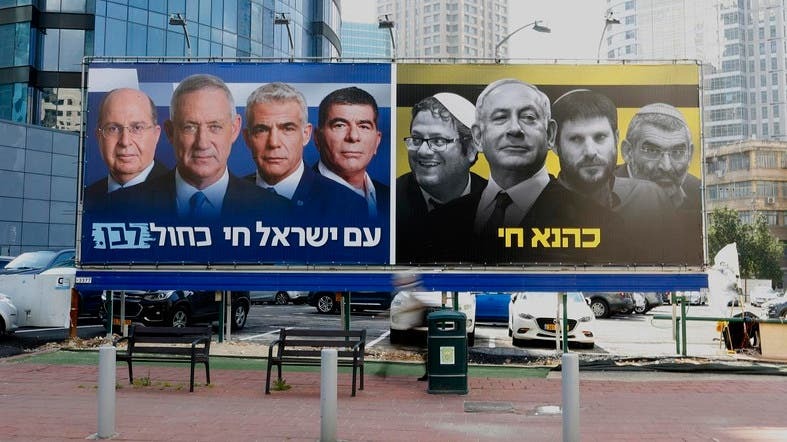 “Past polls have shown that nearly one out of every six-seven voters makes a decision only in the last two days before the elections, and it isn’t clear what will be the dynamic of the coming few days,” Maariv daily wrote Friday. A poll by Smith Research for the Jerusalem Post published Friday showed Gantz’s Blue and White, picking up 28 seats in the 120-member Knesset, with the right-wing Likud at its heels with 27, according to AFP. But it found that overall the right and center-right would control 68 seats compared to 52 from the center and left. A poll published late Thursday by public broadcaster KAN gave the right a narrower, although still decisive, lead of 64 to 56. The daily Yediot Aharonot put the gap as narrower still, at 63-57.